Today, we hear a tale of two suffering servants, both answering the call of God. One (Jeremiah) cries out in anguish of his pain and rejection, yet discovers he cannot refuse his calling. The other (Jesus), embraces his passion and willing goes to his place of his suffering. In our first reading (Jeremiah 20:7-9), we hear the beautiful lament of the prophet Jeremiah, who suffered greatly because of what God has called him to do. He tried to quit but discovered he cannot resist and must continue speaking out God's truth. It "burns like fire" within him. You duped me, O LORD, and I let myself be duped; you were too strong for me, and you triumphed. All the day I am an object of laughter; everyone mocks me. Whenever I speak, I must cry out, violence and outrage is my message; the word of the LORD has brought me derision and reproach all the day. I say to myself, I will not mention him, I will speak in his name no more. But then it becomes like fire burning in my heart, imprisoned in my bones; I grow weary holding it in, I cannot endure it. You may remember that in last week's Gospel, Peter was elevated to the "rock" upon whom Jesus would build his Church. In this very next passage in today's Gospel, (Matthew 16:21-27), Peter is rebuked as "Satan" for suggesting that Jesus must not suffer as he described to his disciples. Here, we see Peter fearful and lamenting but not Jesus. Jesus understood what Peter, and Jeremiah, did not, "Whoever loses his life for my sake will find it". Jesus began to show his disciples that he must go to Jerusalem and suffer greatly from the elders, the chief priests, and the scribes, and be killed and on the third day be raised. Then Peter took Jesus aside and began to rebuke him, "God forbid, Lord! No such thing shall ever happen to you." He turned and said to Peter, "Get behind me, Satan! You are an obstacle to me. You are thinking not as God does, but as human beings do." 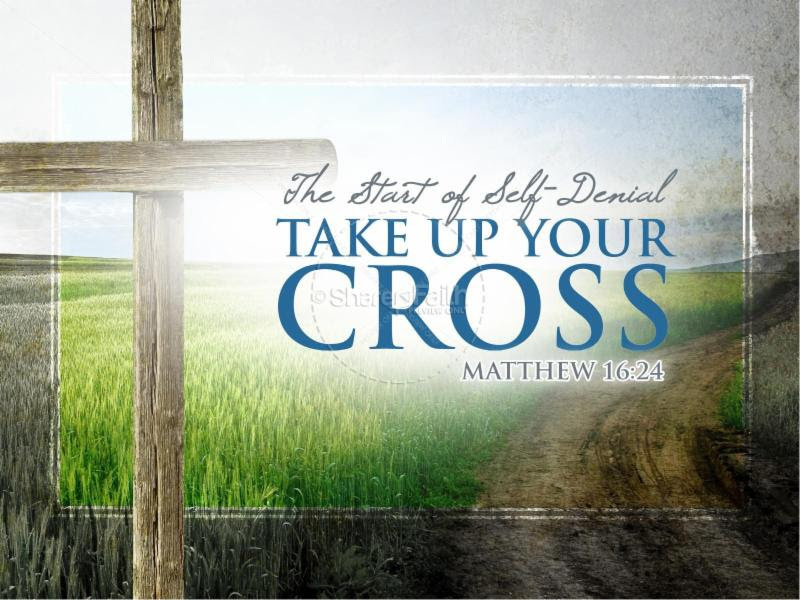 Then Jesus said to his disciples, "Whoever wishes to come after me must deny himself, take up his cross, and follow me. For whoever wishes to save his life will lose it, but whoever loses his life for my sake will find it. What profit would there be for one to gain the whole world and forfeit his life? Or what can one give in exchange for his life? For the Son of Man will come with his angels in his Father's glory, and then he will repay all according to his conduct." In our Epistle reading (Romans 12:1-2), St. Paul teaches us how we are to take up our cross and carry it, following Jesus example, offering "our bodies as a living sacrifice". To most, it would seem unthinkable to live our lives in "derision and reproach" for speaking the truth of God; and few of us would take up that cross gladly. But that may be precisely what the Spirit is calling us to do in today's readings. When and if we do, we may very well discover, as Jeremiah did, that it "burns like fire in our hearts" as we "grow weary holding it in."